Mil. Spec. flight satin nylon with a polyfill insulation quilted to a smooth synthetic lining for added warmth. features a bi-swing back design, two huge velcro close front pouch pockets, a zippered pen/pencil sleeve pocket, and a heavy duty front zipper over wind flap. 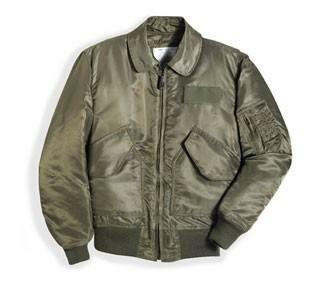 An exact replica of an F-15 or F-16 fighter piolt jacket. This jacket is NOT FIRE RETARDANT. Proudly made in the U.S.A.